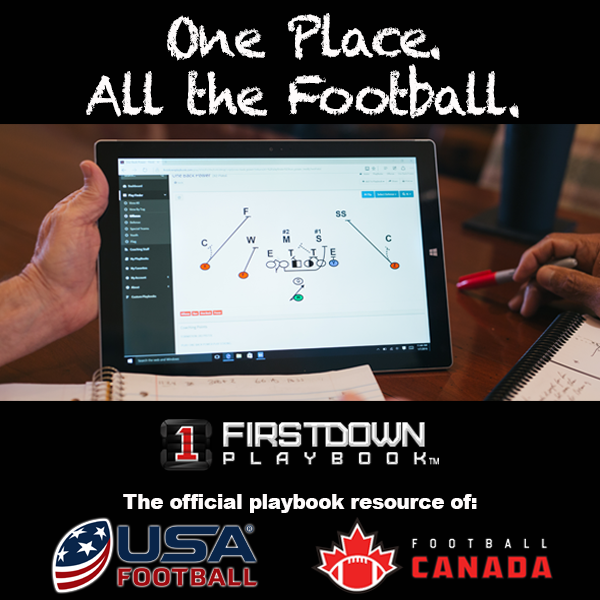 Looking for the FirstDown PlayBook weekly installs? Don’t fret. They are being done but over in the brand new FirstDown PlayBook 2.0 website. You know…the one where you will be able to draw and edit your own plays as well as our 35,000 other football plays? FirstDown PlayBook is going to take the next two days to dissect a couple of plays that we saw the University of Texas run in the Big 12 Championship against Oklahoma this past weekend. It is obvious that as the college teams get further along the football season with more and more at stake the quarterbacks become a bigger part of the thought process in the run game. We saw a lot of quarterbacks with the ball in their hands Saturday and not just in RPO or broken play scramble type situations either. There were quite a few plays where it was a pure quarterback run from the moment the football was snapped. The other thing that jumped out at us was the number of times we saw unbalanced or heavy formations being dialed up. The play calls are often very basic but the offense coordinators are looking for that small adjustment that makes the defense play a little less aggressively even if they get lined up to the formation. Today’s play is an example of both as the Texas Longhorns dialed up Sam Ehlinger’s number in the run game quite a bit this past Saturday in Dallas. A closer look at the play, however, reveals that the offensive coaches had a pretty good idea about how to eliminate a free hitter to the ball when their quarterback had the ball in his hands.